It’s no secret that stir fry recipes are some of my very favorite homemade dinners. Today I am rounding up all of my favorite vegetarian stir fry recipes that I have made and loved. Ready? Let’s go! I’m starting with this recipe because it is the pillar that I have built most of my favorite stir fry recipes on. 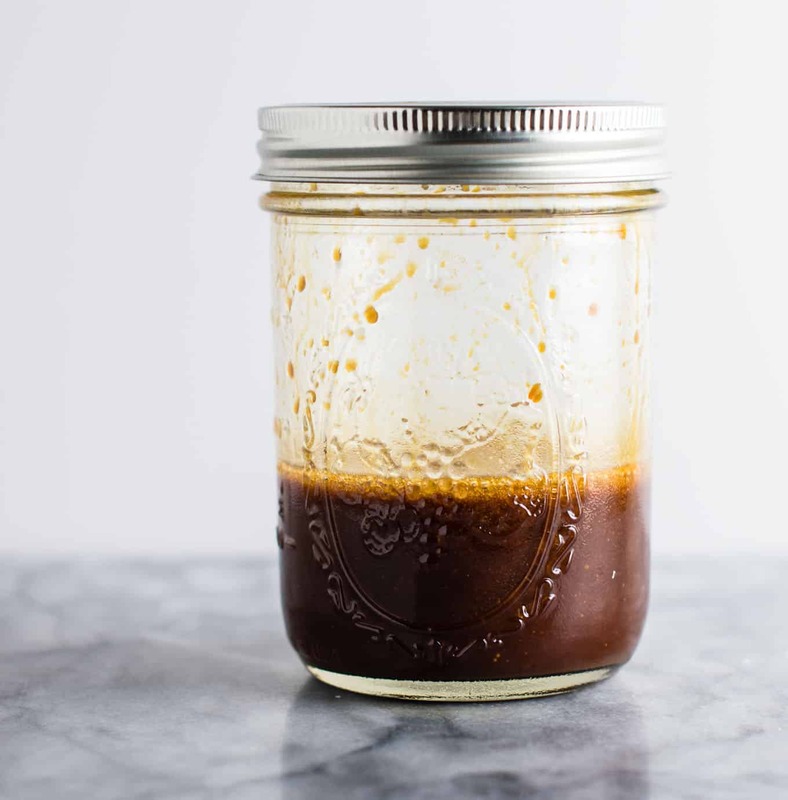 Now whenever I make a new stir fry recipe, this stir fry sauce is the one that I use. EVERY TIME. It’s really that good. You only need three ingredients and it tastes incredible! Read my posts on How do you thicken stir fry sauce? to read more about why I love this recipe! 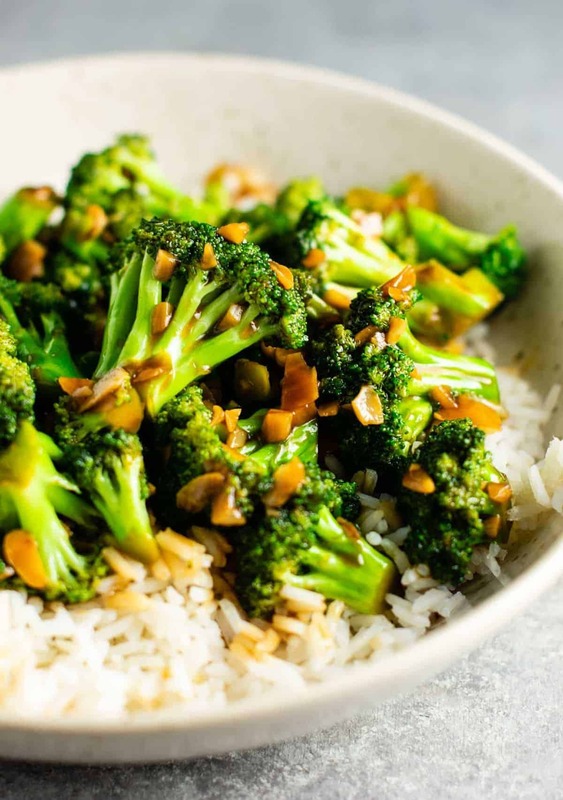 If you’ve ever gone to a chinese restaurant and ordered broccoli with garlic sauce, this one is for you! Incredibly easy to make and tastes even better than takeout. I promise you’ll love this recipe! Veggie lover’s paradise! 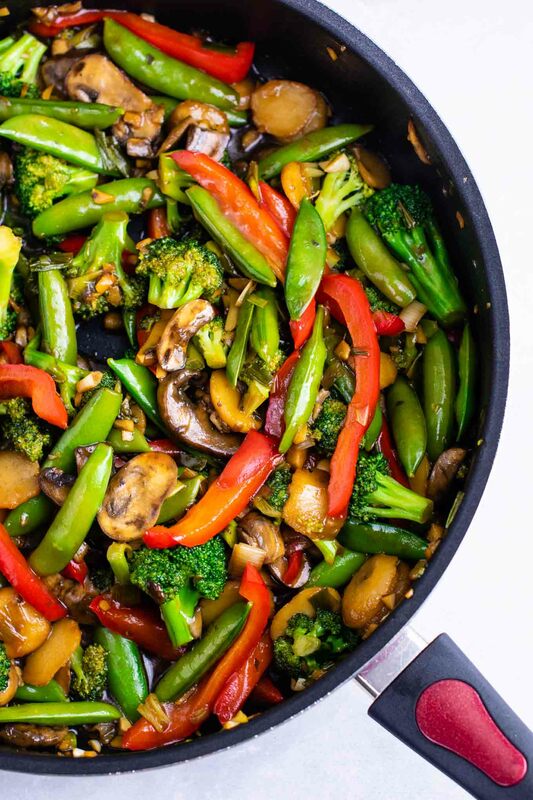 All of your favorite stir fry vegetables packed into one delicious recipe. 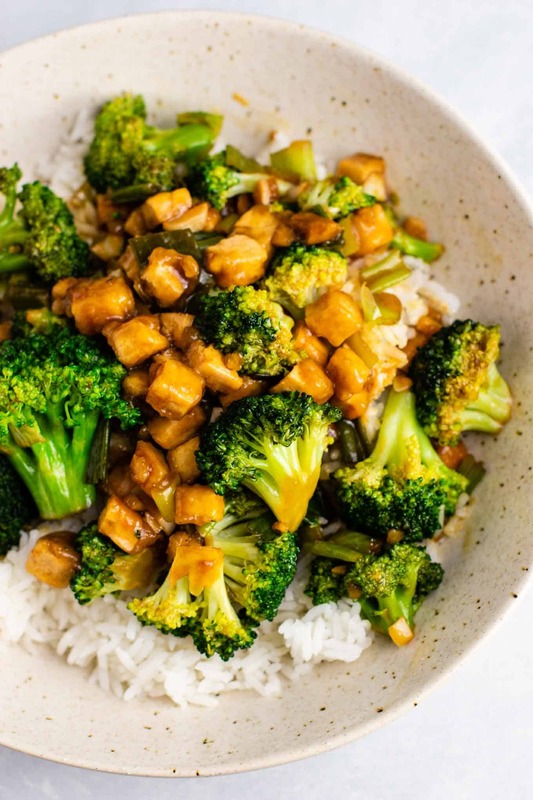 Use cubed tofu, fresh broccoli, easy stir fry sauce, and fresh garlic and ginger to make this incredibly addictive vegetarian stir fry dinner. 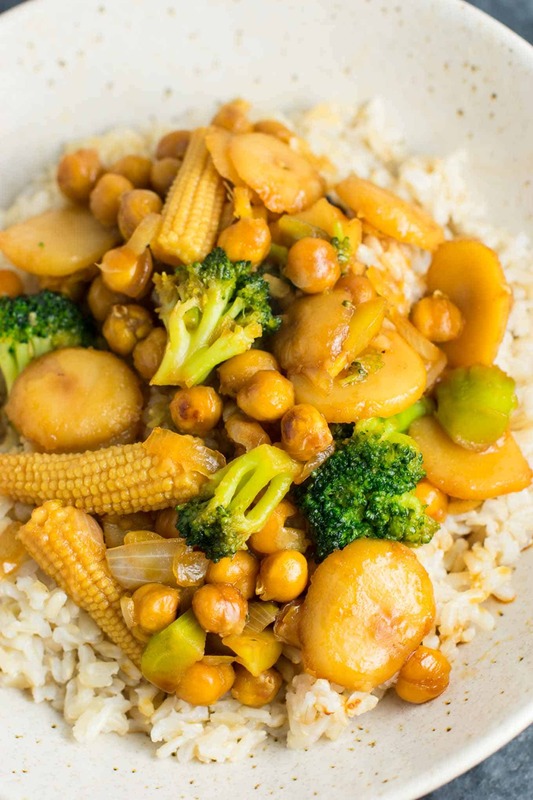 Chickpea lovers will love this stir fry recipe with baby corn and water chestnuts. Another chickpea stir fry! Perfect for those rushed dinner nights. Ready from start to finish in just 30 minutes! 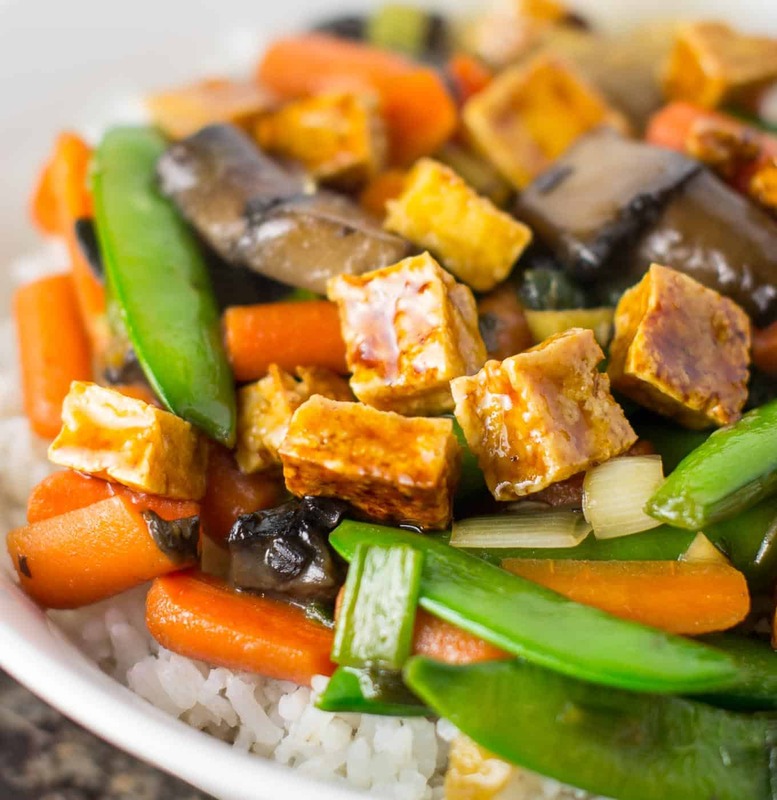 Crispy tofu, meaty mushrooms, crunchy snap peas and carrots in a sweet and salty honey ginger sauce. Hungry for more? Try making your own stir fry recipe using my guide for best stir fry vegetables, combined with my easy stir fry sauce recipe! 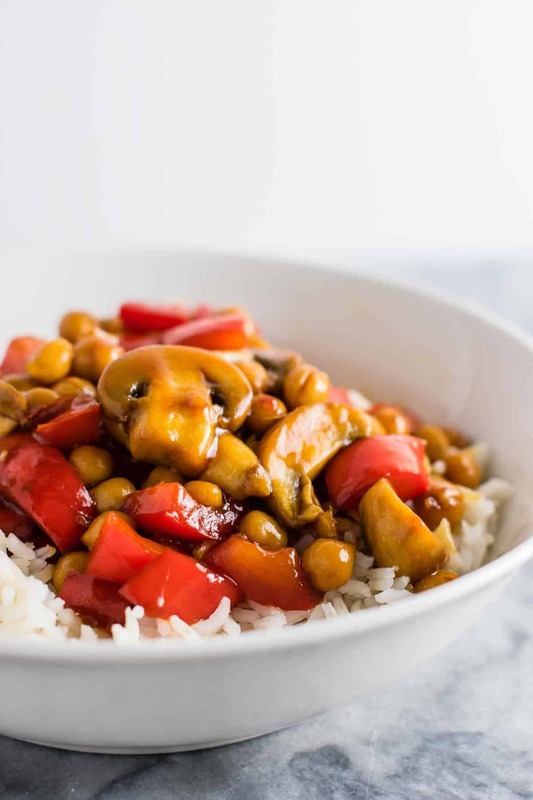 What is your favorite vegetarian stir fry recipe? Let me know in the comments below! Quick and the family loved it!